In the beginning, I would like to apologise for a long time since the last update. I would like to kindly announce that we have started the production phase on 10.01.2018. It was the day we have finally confirmed the drawing together with the factory and began the tooling phase, it took a bit longer than I have initially thought. The tooling takes 8-12 weeks, as we will use harden steel ( not rapid tooling). Then we will have 1-2 weeks for the final testing and corrections. In the meanwhile, I work on the packaging design, instruction manual etc. I have spoken to the factory, three days ago, and I was told the tooling is halfway down and we can expect a ready model at the end of March. Currently, they celebrate the New Year, therefore the factory is closed until 26th February. Before that, I have decided to apply two last changes to the drawing, that I think will make the product better. 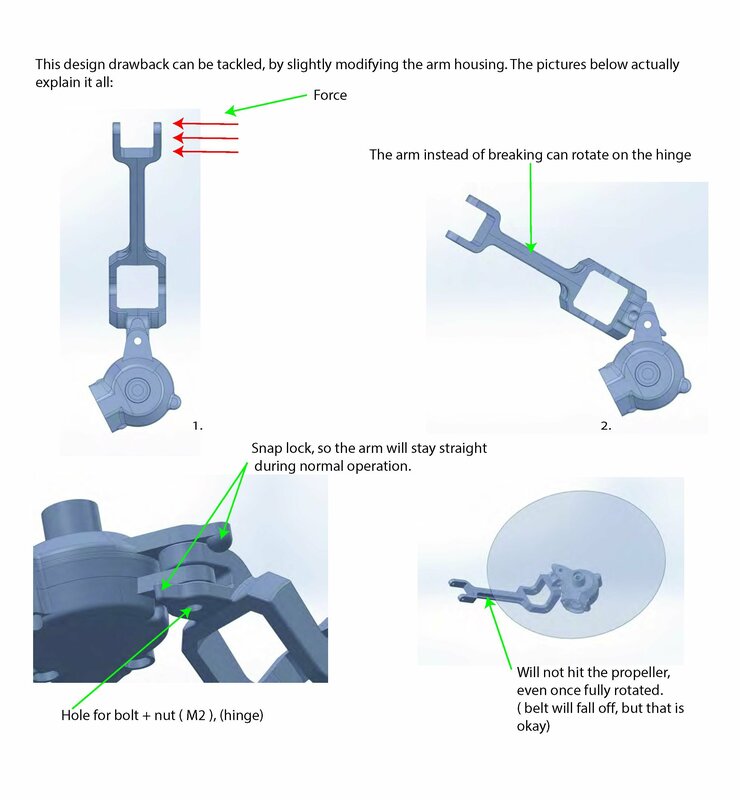 First is the back arm design, ( now is a bit lighter and slimmer, lighter and more flexible -harder to damage). 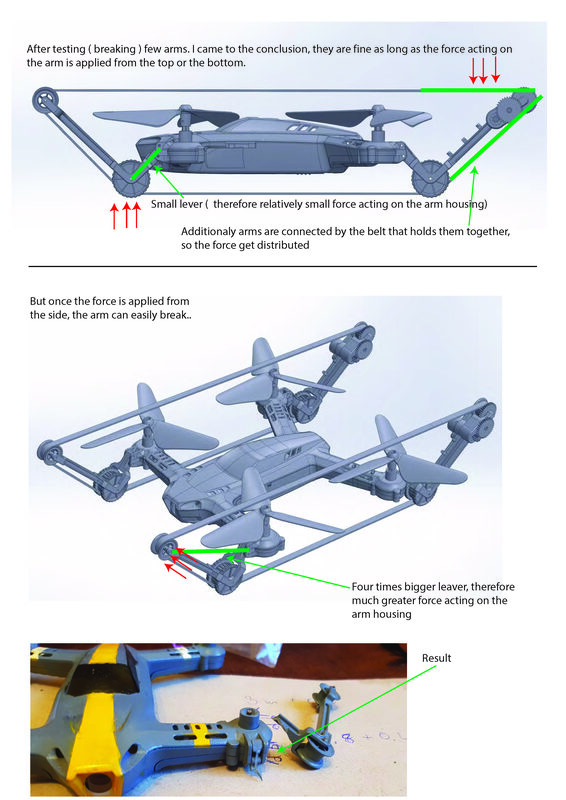 The second one, quite important is how arm attaches to the drone’s body. I know you have been waiting for so long for the model ( me too), and all you are amazing backers! That means a lot to me, thanks to you the project continues, and it is already in the last stage. I would like to give something in return for your patience. I will just wait for the factory to confirm the final pricing and I will update you what it will be. Please remember you have right to get full refund at any time. 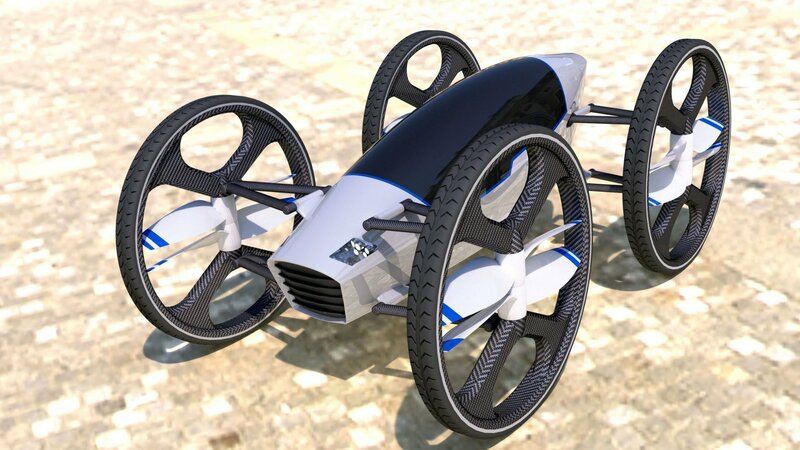 I would also like to share the good news, as you may notice, there quite a few designs of human-carrying drones, like Ehang https://www.youtube.com/watch?v=F8shiw6zY_A. I was asked to draw a draft of future Flying Car, that can be presented to potential investors. I took few days off and drafted the full-size idea; I hope you like it. I hope this idea one day will be reality, fingers crossed. 1: How does the suspension work while driving and landing? 2: Why is the tip flat and not aerodynamic? 3: Are you able to sit inside comfortably? 4: How long time will it fly? 1. 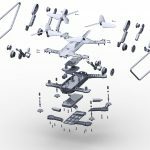 Suspension works well in both environments in the air as well as on the ground, I have run a physical test on a scaled model and there is no need to block the suspension in flight. 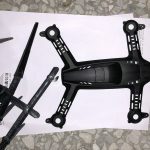 It is designed in such a way, once the arm with propeller moves up or down it stays parallel to the other propellers, so the thrust force vector does not change the direction and drone is very stable ( suspension additionally absorbs motor vibration). 2: It is, for now, only a concept aesthetics. 3. 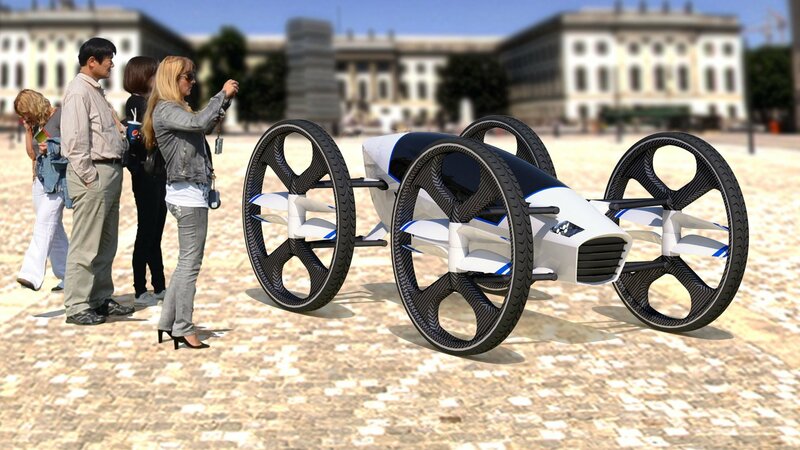 The Cabin is ripped off from a standard glider, so probably Flying Car will be as comfortable as glider cabin. 4. 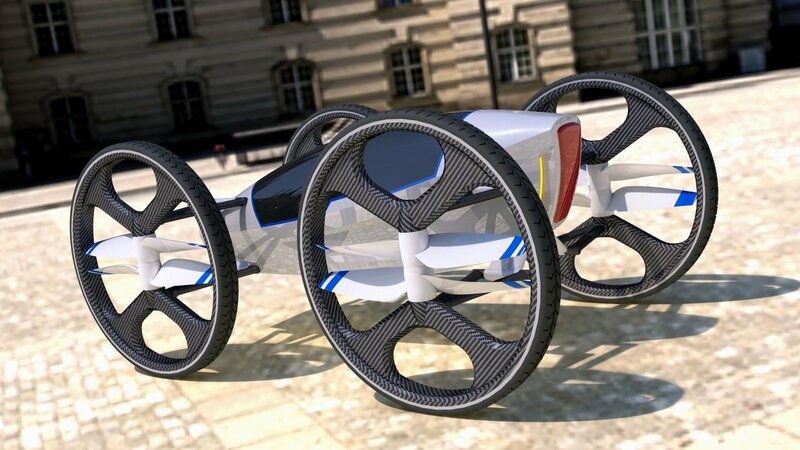 The Flying Car in scale has not yet been prototyped, so only estimated values based on the mathematical model: 100 km flight and about 200 km drive. So excited for this ! Definitely will buy it. Will it ship to Switzerland ? Thanks ! We are based in EU, so we will ship to Switzerland with fast delivery. Keep up the good work and look forward to your next update.. Thanks, hopefully the next one will be from the CarCopter testing. Please keep me informed on when you will be putting it up for sale. I am definitely interested to purchase it.